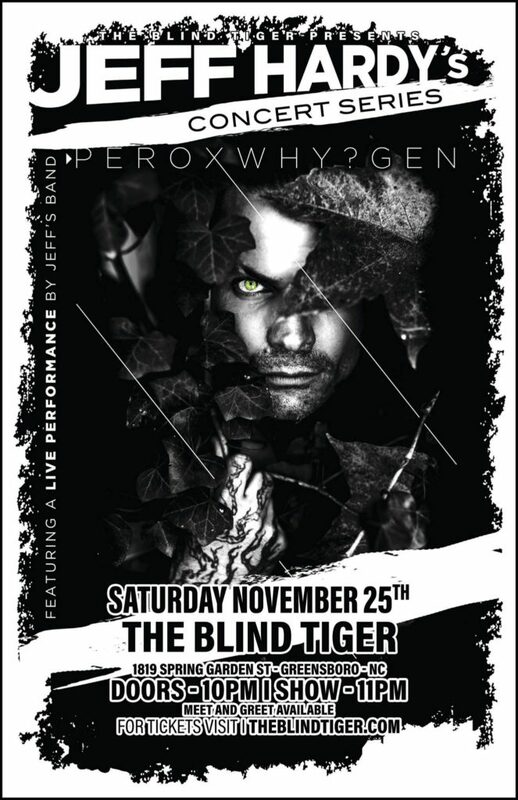 Nashville, TN (November 10, 2017) – Legendary professional wrestler and singer/songwriter Jeff Hardy will be performing a special acoustic show at The Blind Tiger in Greensboro, NC on November 25th. Tickets and meet and greet opportunities can be purchased HERE! For more information, visit JeffHardyBrand.com and engage with Jeff Hardy on Instagram and Twitter. You can purchase a copy of Jeff’s new record, “Precession of the Equinoxes,” HERE!